Could a supervolcano someday erupt in the U.S., burying most of North America in ash, dimming the sun and sending the continent into a volcanic winter? 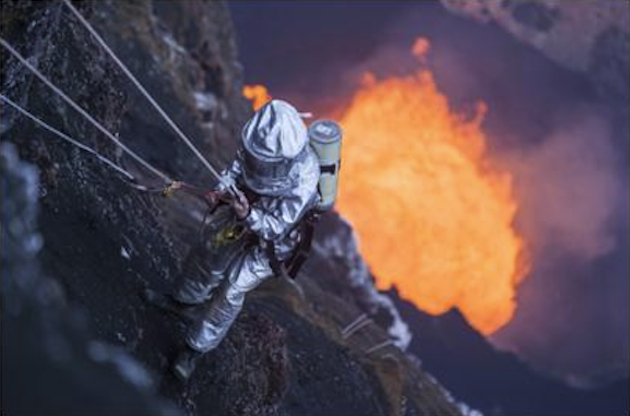 That's the focus of the Discovery Channel's "Volcano Time Bomb," part of the network's Curiosity series. According to the U.S. Geological Survey, a supervolcano is one that possesses "a volcanic center that has had an eruption of magnitude 8 on the Volcano Explosivity Index (VEI), meaning the measured deposits for that eruption is greater than 1,000 cubic kilometers (240 cubic miles)." The show focuses on volcanic giants that loom over Portland, Seattle and Vancouver and comes on the heels of Hawaii's Kilauea spilling lava into the ocean. Using computer-generated imagery, the show will take viewers inside some of these volcanoes. But the show also focuses on the latest scientific efforts by researchers who are attempting to forecast when and where the next major eruption will take place. Other supervolcanoes in the U.S. are located in Yellowstone National Park and Long Valley in eastern California. Outside the U.S., supervolcano sites have been identified in Indonesia, Japan, New Zealand and South America. The last known supervolcanic eruption took place approximately 27,000 years ago on New Zealand's island of Taupo. "These super volcanoes have the potential to bury most of western North America and dim the sun—plunging the world into a volcanic winter," reads a release from Discovery sent to Yahoo News.